Green roofs are a popular concept throughout the world and have been for a long time, according to North Carolina State University, they are a little slow to gain popularity in the United States. Growing grass on a roof insulates your house, and help with the "heat island effect". This term refers to the fact that built up areas such as cities are hotter than less populated areas. In areas with many buildings, the grass not only insulates, but retains storm water, can improve water quality and has cosmetic appeal. It's a greener method lower heating and cooling costs. It also adds uniqueness to your home. Measure to ensure your roof has a pitch between 5 and 20 degrees. Set one side of a 12-inch level on the roof surface. Hold the level out horizontally from the roof and make it level. Use a tape measure to determine the space between the other end of the level, vertically, to the roof. This gives you the slope. If it's 4 inches from the level to the roof, for example, divide 4 by 12 and you get 33 percent. Obtain a construction permit if required in your area. Talk with the planning department and ask what the requirements are for constructing a vegetated roof. Buy a permit if needed. Measure the area of the roof to determine how much grass you need and how large the underlayment system needs to be. The underlayment system acts like a barrier between the grass and the normal roof. Buy the correct amount of sod to fill the square footage. 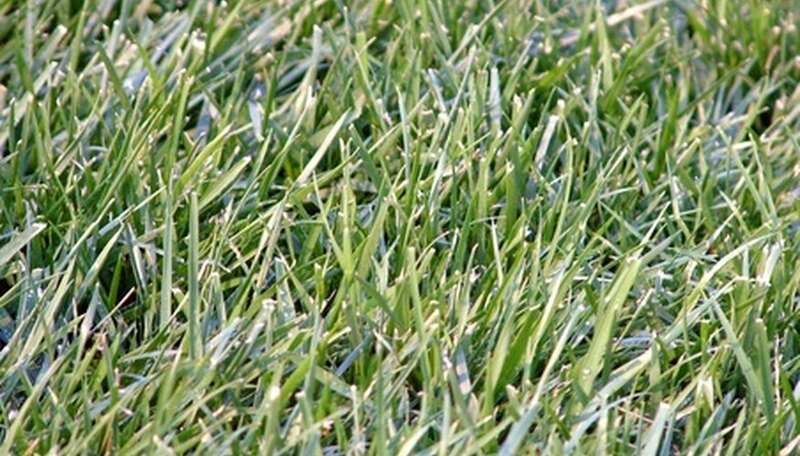 Plan to plant the sod immediately or keep it stored in a cool spot, moistening it often to keep it from drying out. Purchase an underlayment system from a green roof dealer. It will include a type of moisture barrier, layers of insulation, filter fabric and drainage protection. Follow the manufacturer's instructions and install it on your roof top. Put 1 inch of soil or a compost/soil mix on top of the underlayment system. Rake it until level and smooth. Spread 1 inch of gravel on top of the soil to improve drainage. Put down 1 more inch of potting soil. Lay down pieces of sod. Use long pieces whenever possible because they are less likely to die. Push each piece as close to its neighbor as possible to avoid gaps or lines. Cut irregular pieces to size with a knife if necessary. Smaller pieces should only be put in the center of the grass roof, not on the edges. Water the sod lightly with water. The goal is to moisten it to lessen the planting shock. Give the sod roof water at least once a week during the growing season because it can't develop the same extensive root system that it would on the ground. Always check the strength of the roof before planting vegetation. You want to make sure it can hold a heavy grass roof. Repair broken shingles or tiles before beginning this project.